With the release of Mark 24 of the NAG C Library comes a plethora of new functionality including matrix functions, pricing Heston options w/term structure, best subset selection, and element-wise weightings for the nearest correlation matrix. 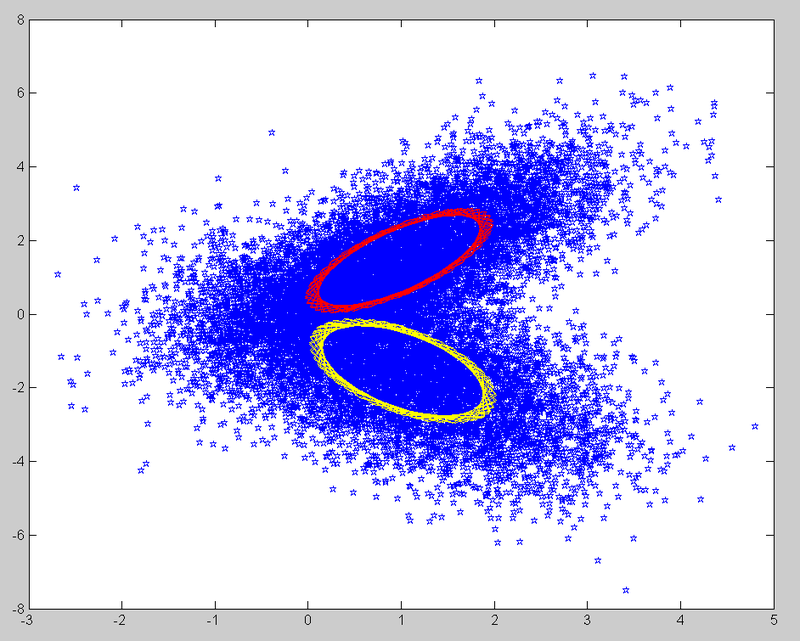 Among the new routines I was excited to test out was the Gaussian mixture model (g03ga). This routine will take a set of data points and fit a mixture of Gaussians for a given (co)variance structure by maximizing the log-likelihood function. The user inputs the (co)variance structure, number of groups, and (optionally) the initial membership probabilities.